Thank you for visiting KWIK2FIX Joinery & Property care. We pride ourselves on customer satisfaction. You can rely on KWIK2FIX 24 hours per day, 7 days per week, 365 days per year to solve any problems you may experience. 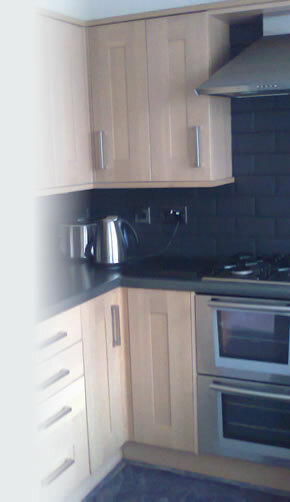 From adjusting a door to a fully fitted kitchen, we at KWIK2FIX do it all for both our domestic and commercial clients. For estate agents/landlords we can offer excellent discounted rates for full Post-Tenancy house-clearance, repairs, cleans, grounds clearance and gas safety checks. Our work is fully guaranteed and insured and for your peace of mind we are also members of Fairtrades. ALL YOUR PROPERTY PROBLEMS SOLVED FAST! © 2011 Kwik2Fix ALL RIGHTS RESERVED.